The month of June holds many surprises -- but none was as big -- or shocking -- as the news arriving from the western frontier: Custer and his entire command had been wiped out. The news of the calamity struck terror not just into the whites of the day but the Indians as well. Custer was dead, but the day of the brave wandering the American plains was gone. In its place would come retribution. This issue, released just before the 138th Anniversary of Custer's Last Stand, we commemorate the engagement between Sioux of many nations and the 7th United States Cavalry under George Armstrong Custer of June 25th and 26th, 1876. Rather than hide children from the terror and slaughter that took place that day, Louis Marx made sure that no one could forget the battle of the Little Big Horn with several sets that he released; we'll take a look at two of them, the first, released in the 1950's, and the last, released just before the company as we knew it would end. This is a gun-fire celebration of the 7th Cavalry in the movies, on television and in toys, in an unusually jam-packed issue absolutely full of gorgeous images from many collectors and toy makers all of whom represented Custer's Last Stand in plastic and occasionally as shown in metals. Airfix, Atlantic, Timpo, Britans, Herald, Marx and others are all represented. We've got the complete Gibbs set too (but in depth coverage will have to wait on that one). 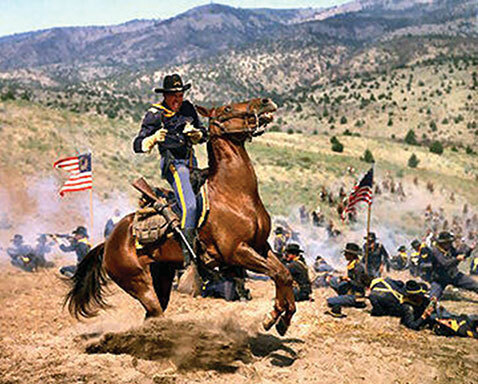 The 7th U.S. Cavalry mounted, on foot, at the last stand, at Reno's charge which set off the engagement, battling it out for three days on Reno's Hill, and in old and sometimes new and even converted plastics. Savor, slowly, as we do full reviews of the mysterious (and largest assortment of Indians Marx ever included in one playset, or any set for that matter. We'll examine the U.S. Cavalry and the Custer figure Marx made and it's history. 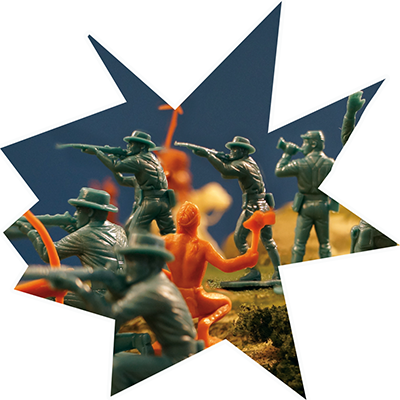 The Legend of Custer, and young star Wayne Maunder, and the playset Marx never made. And those mysterious powder blue 7th Cavalry Marx made but never released. Tonka - the great Walt Disney TV show that inspired many of us to look further into Custer's Last Stand was the true story of the last survivor of the 7th US Cavalry -- the horse ridden by Miles Kehoe. And there are a few updates, a good one on The Marx Boy Scouts -- that was a very popular issue last time and it continues right here in issue 75. You Webelos will not want to miss! And there's news: the announced Annie Oakley story expanded (by a lot, actually) and will appear in the following issue, PM76. And speaking of Issue 76, our story on the Early Days of the hobby, featuring the names and tales of those forefathers who landed on the beaches of Marx years ago, is nearly finished. This is our final issue you might say, under the shadow of the great Tom Terry and his publication, Plastic Figure and Playset Magazine. It will be our chance to acknowledge once again the great pioneering contributions which he, and the other people who have remained mostly anonymous up until now have made. This issue is also packed with news, ads, I think as many as we have ever had, and a real virtual picking ground for collectors eager to add something great to your collections. 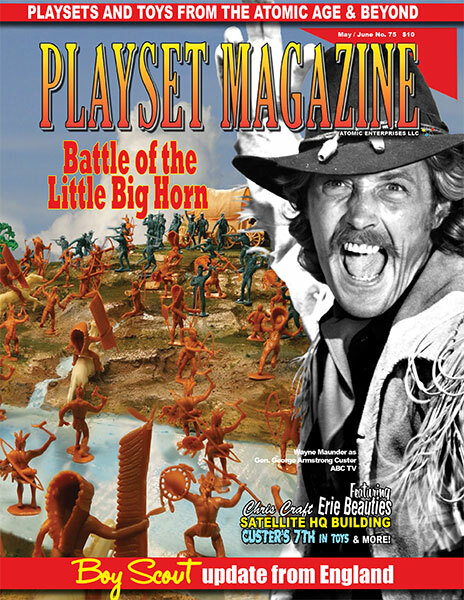 You won't want to miss Playset Magazine's coverage of THE BATTLE OF THE LITTLE BIG HORN special coverage! It all goes into the mails on the 25th of this month, just like the clockwork machine we have become over the past 12 years or so. Thank you for making us a part of your collection! You had your childhood -- now get it back!